Building Maintenance Miami | CSI International, Inc.
From the beginning in 1989 CSI International, Inc. has always been a client oriented and quality demanding company. The main reason for our Quality Program is the instillment of quality that focuses on customer’s needs, includes employees at all levels, continuously measures performance, and strives to continually improve. Inorder to create this culture our Quality Plan has as a foundation, a management process, and a set of rules that are coordinated to all departments and levels of the organization to insure that all employees consistently reach or exceed our customer’s expectations. CSI’s senior management team has worked to organize its Building Maintenance strategy and operations to be in line with our customer’s requirements, and to develop and sustain a way of life with full employee involvement. Quality for CSI is a task of continued enhancement, not just an examination protocol. It means supervisors and management must communicate a set directive of Building Maintenance everyone follows and trusts. To achieve this goal CSI has created the position of Director of Corporate Quality and Training for the purposes of managing CSI’s QA Program and to pay close attention to the quality procedures throughout all segments of our company. The position reports directly to the Chief Operating Officer and keeps a watchful eye on the implementation and adherence to our top levels for evaluating job performance, implementing training programs and acknowledging and surpassing our client’s expectations. With this in mind CSI has developed the Eye on Quality program. 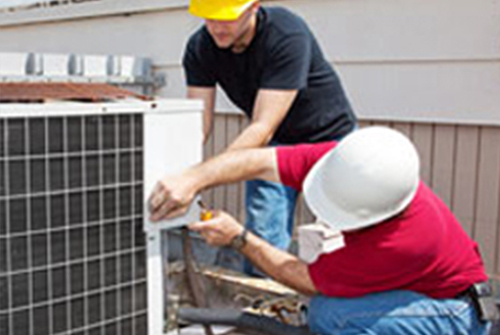 The goal of this program is to achieve superior service quality levels for our customers. Our customers will get periodic quality reports via email or print copy. These inspection reports will provide a complete job site review while including graphs for visual reporting. As a bonus, our Eye on Quality program is supplemented by series of more conventional surveys and inspections to assist CSI’s Quality Assurance Team in determining customers’ management and their client’s satisfaction with the quality of our Building Maintenance. Every facility has unique situations that demand we customize a program that fits well with its culture. Driven by the specifications and modified by your unique requirements, inspections and surveys keep management in touch, supervision accountable, and employees informed. The end result is the achieving of service excellence for the client. CSI utilizes multiple traditional validation tools to guarantee that we are consistently delivering the Building Maintenance promised with the best quality. The Green Seal Requirement for Commercial and Institutional Cleansing Solutions GS-42, establishes environmental requirements for cleaning up company of industrial, public, and institutional structures, including in-house and external cleaning company, to create a green cleaning program that protects human health and the environment. The basic takes a systems approach with cleansing. Guidance is offered tools and products utilized for cleaning (exactly what is used for cleaning) and consists of personnel training and planning (how cleaning is done). The standard likewise includes emphasis on ecological improvements that decrease toxicity, waste, and direct exposure to both building occupants and custodial personnel. The requirement can function as a tool to help companies start to take action to enhance their cleaning company and is offered for Green Seal accreditation. Advantages of G42: Trusted by Buyers, No Dispute of Interest, Show Leadership, Open Doors to New Business.